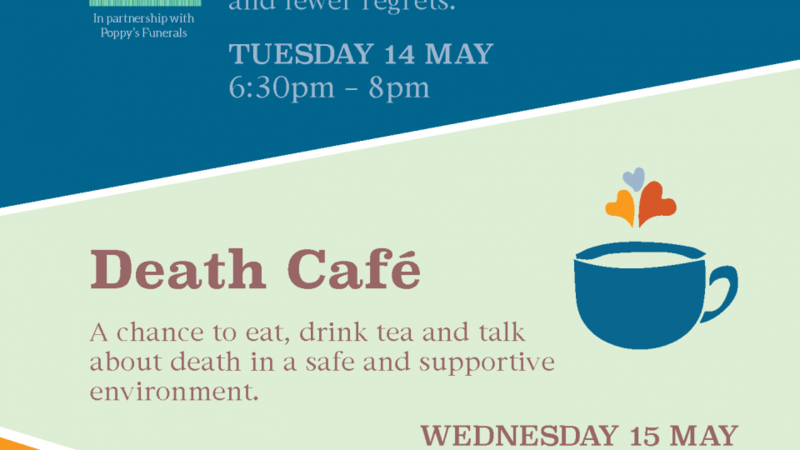 Death Cafes are a chance to eat, drink tea and talk about death. It isn’t always the easiest topic to discuss, so Trinity’s Death Cafe provides the opportunity to do so in a safe and supportive environment. The event will be facilitated by one of our experienced social workers, Kate Wells, who works with people of all ages to help them process issues surrounding death. We’ll provide a space to meet others, challenge ourselves and join the conversation. Trinity’s Death Cafe is free, but please reserve your place on our website linked below or by getting in touch on 020 7787 1010 or at media@royaltrinityhospice.london, as these events are always oversubscribed. Refreshments will be provided.